How to maximise rental income in Cambridge | Belvoir! Keen to maximise your rental income in Cambridge? The local market is complex. But there are some simple strategies that could get you results. As a landlord, it goes without saying that you want to maximise your rental income in Cambridge. But the local market is highly active, fluid and can be tough to navigate. Just 48.59% of the local population own or part-own their property. That leaves Cambridge with one of the highest proportions of renters in the UK. Spiralling house prices and high employment opportunities suggest that the idiosyncrasies of the local market are unlikely to change anytime soon. In short: expect sustained demand for rented accommodation. Here are some simple ways to make the most of the opportunity and maximise your rental income in Cambridge. Cambridge is home to the third-highest mean average house price in the UK (£505,186.60). The forecast of high population growth (predicted to grow by 16% by 2031) means that house prices are likely to remain high compared to the national average. Unfortunately for landlords like you, the typical market rents for family homes in Cambridge have not increased at the same rate. That can leave you struggling to create enough rental income from family lets to generate meaningful profits. It can even be a struggle for some landlords to cover the mortgage repayments on their properties. The answer? Consider different types of let. Each family let typically contains just two - and sometimes only one - occupant with disposable income. Naturally, that immediately limits the amount of income you can generate on a per-bedroom basis. But when you open the door of your property to different types of sharers and become more flexible in the type of let that you offer, you can attract a wider pool of interest and increase the amount of disposable income in your property. Let’s take a look. Cambridge University is one of the most revered academic institutions in the world. Anglia Ruskin University meanwhile is becoming more popular year-on-year. The simple fact is that Cambridge is a student city. In fact, students account for more than one-fifth of the city’s population - and the student population swells by the year. It means there’s an almost relentless demand for student accommodation of all types - from the lower end of the market right up to premium lets. Student loans - not to mention wealthy overseas parents - mean that student lets can often be more lucrative than many family lets. Business is booming in Cambridge. The Silicon Fen, Science Park and Addenbrooke’s Hospital mean the local economy is incredibly healthy, with one of the highest employment rates in the country. But all of those employees need somewhere to live. Opening your doors to professional sharers can increase your rental return by around £300pcm compared to the average family let. But beware that many professionals may be searching for a property that’s comfortable enough to work from. Cambridge has the fifth-highest proportion of people working from home of all UK cities. As you know, standard houseshares are let on a one-person-per-bedroom basis. Many landlords don’t allow couples to share a bedroom together in multi-bedroom houseshares. Following suit could limit your potential to embrace a new income stream. Provided the other tenants have no objections and subject to the licensing conditions of your property, you could welcome couples and increase the rental price of the couple’s shared bedroom. Unsure? Talk to us to make sense of your licensing conditions and enhance your rental return. People like pets: cats, dogs, rabbits and all the rest of creature-kind. Yet many landlords refuse to allow pets in their properties. 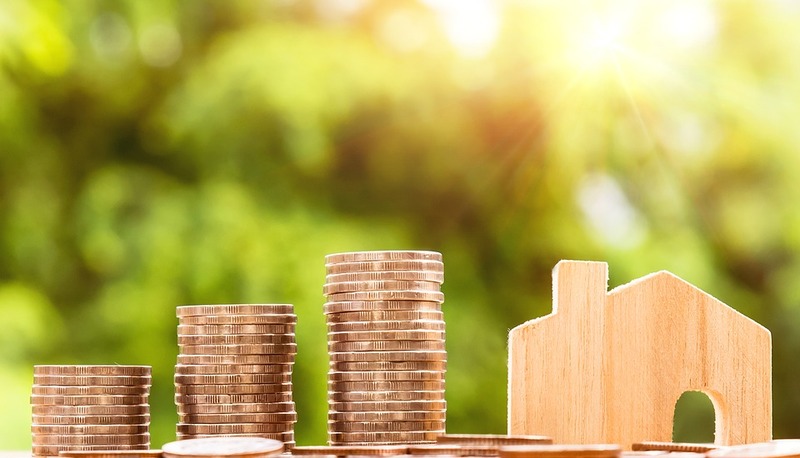 Bucking the trend is likely to make your property more desirable to a wider pool of potential tenants, enabling you to charge slightly higher rent in the process. Worried about damage? Don’t be. There are numerous ways you can protect yourself against the financial cost of repairs in these types of lets - and Belvoir can help you put them in place without any hassle. Cambridge is affluent, with the lowest welfare spend of all UK cities. Remember to review rents annually. Failure to do so could leave your tenants paying between £50 and £150 per month below market value. Making changes to the type of tenants you accept or the type of let you offer could impact the type of tenancy agreement you must provide. You will also likely have to change the insurance policies relating to both your property and your lettings operation. You may even need to change your mortgage. It’s confusing, but we can help. Here at Belvoir Cambridge, we have the expert knowledge of increasingly stringent lettings regulations to ensure you never get caught out. We already help hundreds of landlords maximise their rental income in Cambridge without falling foul of their legal obligations - using everything from tailored insurance policies and rent guarantee schemes to high damage deposits and cleaning fee clauses to give you all the peace of mind you need to diversify your lettings business. >> Is your HMO under threat from new room regulations? Cambridge house prices and rents change from street to street. It’s best to get the insight of an expert if you are serious about maximising your rental income in Cambridge. For a free market appraisal - or simply a chat and some friendly advice - feel free to contact me directly. Myself and our team of highly experienced property managers will be happy to help. >> How big should your letting agent be? >> Do rental properties need a carbon monoxide alarm?